Massive eShop Sale Currently Underway! Huge discounts for Switch, 3DS & WII U - Get involved! 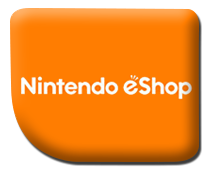 If you haven't purchased anything digitally recently you may not be aware that there is currently a massive sale running on Nintendo's EU eShop, across Nintendo's recent consoles! Discounts range from 10% - 85% and with over 140 titles included in the sale, including many new high profile triple A releases, now is the time to get online and grab those titles that you've been holding off on buying, or simply give new and unexpected a try! The sale started on the 25th March but don't worry, there's still enough time for you to have a think and gather up your pennies as the sale is not due to end until 5th April. Happy Spending! What did you pick up? Join the conversation online and let us know! Save up to 86% on a range of top titles for #NintendoSwitch, #3DS and #WiiU in our Spring into Action #eShop sale, now on!